Kathi Pelton: "5779: A Marker Year - God's Goodness will be Revealed"
"5779: A Marker Year - God's Goodness will be Revealed"
As I am talking to others in the Body of Christ, it is so encouraging to hear just how many are "birthing" new promises in this hour. Some are saying God is calling them to start new ministries, businesses, or even a new calling all together. God's hidden goodness will be revealed to those who seek Him. Within the limitless boundaries of His goodness there is wisdom and understanding. Within the revelation of His goodness there is healing and strength. Within the experience of His goodness there is refreshing and restoration. Within the womb of His goodness there is great hope and new life. The Lord spoke to me that this Jewish New Year (5779), which began September 9th at sundown, is a "chamber room" or "womb." I saw these chambers like a womb, where what has been conceived in the heart of God is growing within His Bride's body. Within this "chamber" or "womb" His secrets and goodness will be revealed to those who yielded to the intimacy and oneness that He invited His Bride into throughout the previous year. He shares His secrets with those who walk in the fear of the Lord and who have been found trustworthy through intimacy. In August the Lord highlighted Isaiah 8 to me. I read of a scroll where the Hebrew words "Maher-shalal-hash-baz" were written upon it meaning, "making speed to the spoil" or "he hastens to the prey." I believe that this will be a year where we will see the Lord plunder the enemy's camp and He will give the spoils to those who will steward the resources with purity and righteousness. They will not touch what the Lord says, "Do not touch," but they will receive the plunder that the Lord takes for the righteous. His Bride will not walk in the fear of man but she will walk in the fear of the Lord, which is the womb of Psalm 91 (the place of abiding). Many plans and strategies of the enemy will be nullified and the Lord will come in like a flood to raise up His glorious standard against him. Jesus will partner with His Bride who is one with Him and carries His zeal to see His Kingdom come on Earth as it is in Heaven. His fierce and jealous love will judge that which is unholy in order to plunder what has been captured and held captive by demonic forces. The oneness and unity has conceived a generation that will bring forth what all creation has been groaning for. I believe that this is a "marker year" where we will see a generation birthed that walks in the goodness of God and the fear of the Lord; fully surrendered to the Captain of the Lord of Hosts. This generation will be alert and awake to hear and respond when the Lord calls to them. They will be humble, teachable, and submitted to His voice. They will understand intimacy which will cause them to walk in authority. They will be intimately acquainted with His goodness and know the sound of His voice that thunders like the shofar. They were conceived in intimacy and they are growing in the womb of surrender. Like Mary, they are carried by the ones who have said, "Let it be to me according to your word" (Luke 1:38). Lastly, I saw a vision of a married couple receiving a sonogram for a baby that they had conceived. Together they saw the baby's features and the gender was revealed. I believe this year will be a year that we will be shown what we have conceived together with our Bridegroom and within our spiritual wombs. It is interesting to me that there is such a battle over "gender" and identity in the world today and at the same time, most couples celebrate pregnancies through "gender reveal parties." It's quite a contrast. God is about to touch this issue in ways that only He can. He will heal identity issues in many and break the confusion that has sent so many lives into upheaval. There will be a generation that restores true identity and carries a revelation of the goodness of our God to the lost. 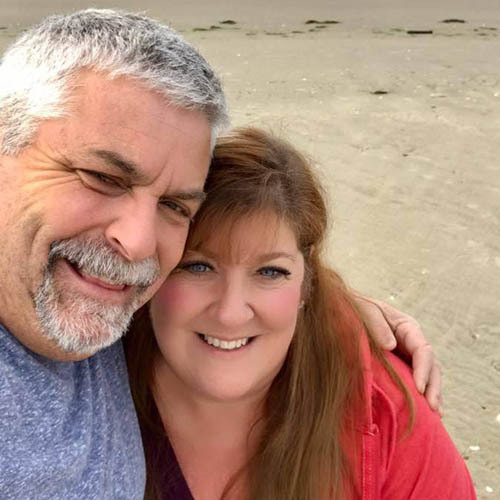 Jeffrey and Kathi Pelton live in the greater Portland, Oregon area. Jeffrey is a writer, teacher and book editor. Kathi is an author and prophetic voice to the Church. They walk with nations and individuals to see God's original intent fulfilled. Their ministry, Inscribe Ministries, was founded upon the verse from Habakkuk 2:2 that says, "Then the LORD answered me and said: 'Write the vision and make it plain on tablets, that he may run who reads it.'"